It was a crazy weekend as all of the residents moved back on to campus. I moved in to my new Centennial Hall apartment on Friday so that I would be on campus for new student move in day to help as an arrival assistant. About 130 upperclassmen students and were ready to move in the Freshmen and Transfer students at 8 a.m. on Saturday. New students pulled up to their new homes with a car (or two) full of their belongings so that we could swarm their car and bring everything to their new rooms. How nice is it to just watch all your stuff get carried up the stairs so that all you have to do is unpack? Us upperclassmen, on the other hand, were on our own with all of our stuff. My family and I took multiple trips up to my 3rd floor apartment in the new apartment building on campus. Clearly, this picture is in the middle of the move in process. 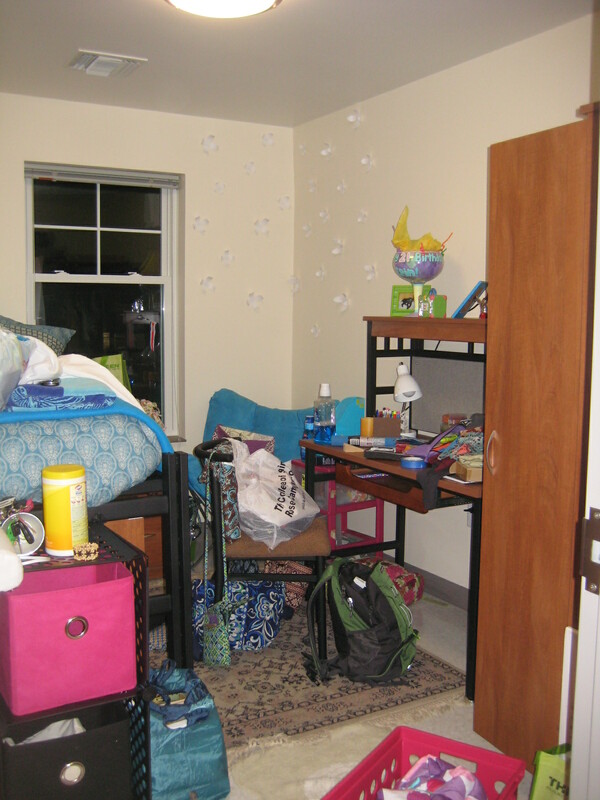 Now, my 3 roommates and I are all settled in and are as prepared as we can be to begin classes. For two of us, it’s our last first day of college…. WEIRD! It feels like I was just one of those students moving in to my freshman dorm and now I’m just one school year away from graduating. Well, it’s time to start getting into my new routine. It’s off to class! Be sure to check back next week to see a tour of our apartment! ← Week of Welcome just got a little bit better!